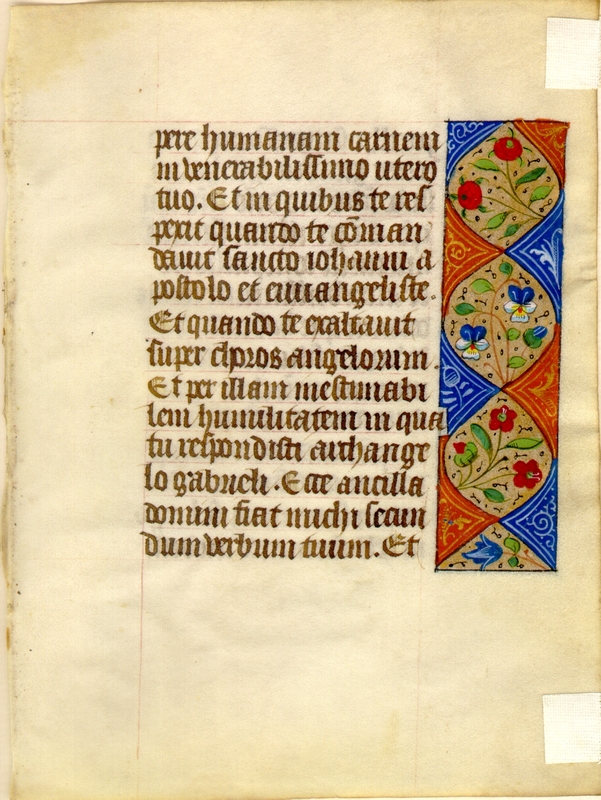 This leaf is from a Book of Hours made in the area of the Netherlands in the late fifteenth century. It measures 18 x 13 cm. The borders on these leaves come in two forms. Some are composed of a firmly-defined rectangle filled to its edge with solid color (dominated by cinnamon, deep sky blue, and gold) rendered in a decorative conceit (triangles, waves, bars) and framing simple flower sprigs. Other borders are less boldly outlined and are not filled with solid colors; instead, a speckled background hosts a strong acanthus vine and a wildflower spray in which a live creature (a bird, a human, a zoomorph) may lurk. While this leaf may have been created in the Netherlands, its rubricated headings are in French. See Denison University Leaf 47 for more information about this manuscript. 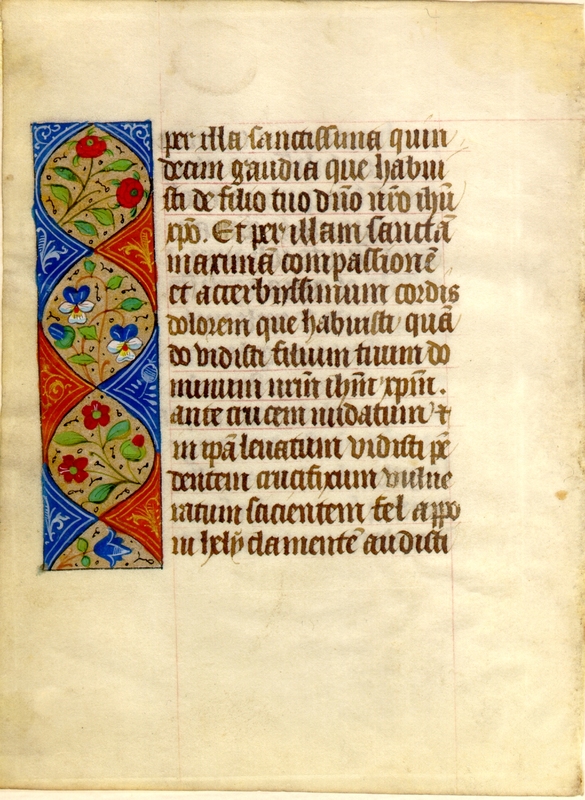 Text: This leaf contains text from the prayer "Obsecro te" (I beseech thee), usually found in a Book of Hours after the Gospel readings and before the Hours of the Virgin. The translation is by Michael Martin, from http://www.preces-latinae.org/thesaurus/BVM/ObsecroTe.php.